Holy moly, it’s been over 3 months since I last posted. So much has happened so let’s get started. —I interviewed and was offered a new job all within a one week period. I didn’t start the job though until early August and was able to begin work on a part-time schedule (I start full-time on Monday, ekkk!). 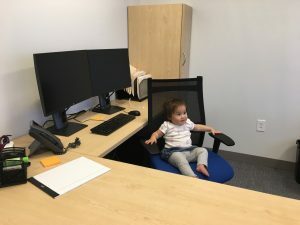 While I worked part-time from home about 10-15 hours a week since January, this was a big change as I would be away from the house and it meant that Charlotte started school. —Charlotte turned one! How did that happen? The first year felt like it took forever and flew by all at the same time. Right before she turned one, I also stopped exclusively pumping. We had enough frozen milk for her to drink breastmilk until she was nearly 14 months. 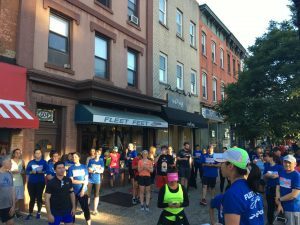 —I began full force marathon training all while trying to juggle these new scheduling changes. 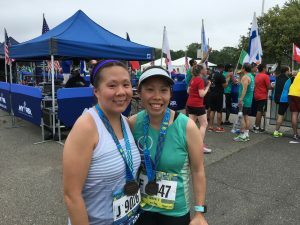 Working with Jess at Race Pace Wellness has been great as she has been able to hold me accountable and helped me find a good balance between marathon training and everything else. I was running four days a week and strength training two other days. 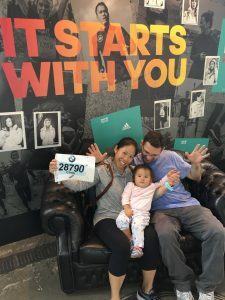 —We took our first international trip as a family of three and I ran the Berlin Marathon on Sunday. All in all the trip was successful and while I did not run a perfect race on Sunday, I am generally happy with my performance. I will share a race recap shortly. I’m at a bit of a crossroads now; trying to decide how to proceed with my blog. I still would love to maintain it in some way but will need to figure out how it will all fit into my schedule. 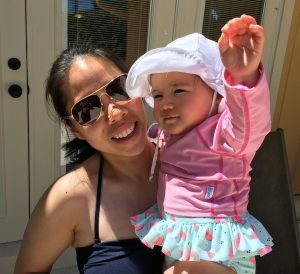 I have to admit it is extremely tough to juggle family, work, and time for myself which is mostly just running and exercise. In the meantime, please bear with me as there may be lulls in blog updates.